Convergence: Justice League International #2 is out 5/13 — and the writer and artist talk about working on the latter-day version of the great ’80s title. We’ve been asking Convergence creators about their favorite stories featuring the characters they’re chronicling during DC‘s two-month event. 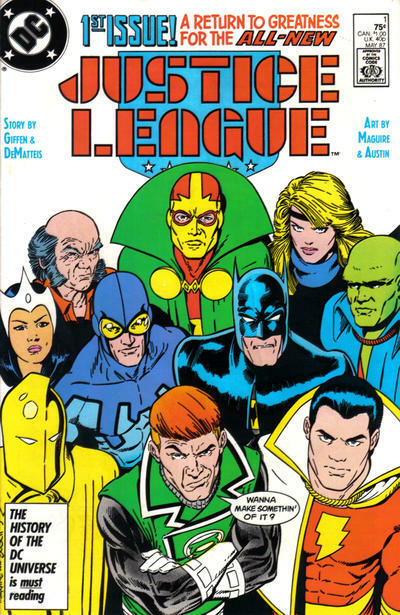 Justice League International was one of my fave titles of the 1980s and I wanted to make sure it was included in our weekly salute. So this week, we’ve got writer Ron Marz and artist Mike Manley here. Ron was a fan of the original run, while Mike‘s new to the team, so they each have different perspectives, which you’ll see below. Dan Greenfield: What’s your favorite story starring these characters? 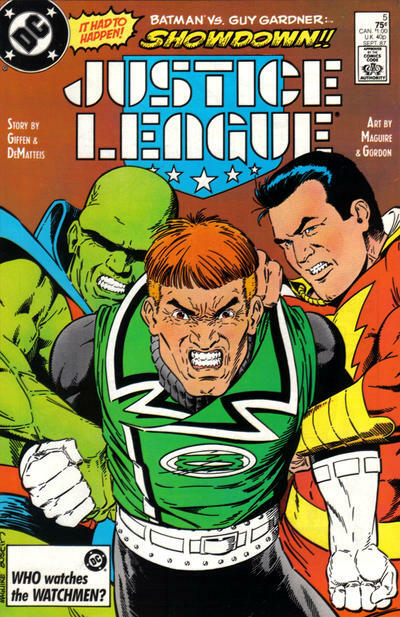 Marz: To me, that first batch of Justice League International issues by Giffen, DeMatteis and Maguire is the gold standard. Those issues were such a breath of fresh air, and such a perfect balance of art and story, I don’t think they’ll ever be matched. 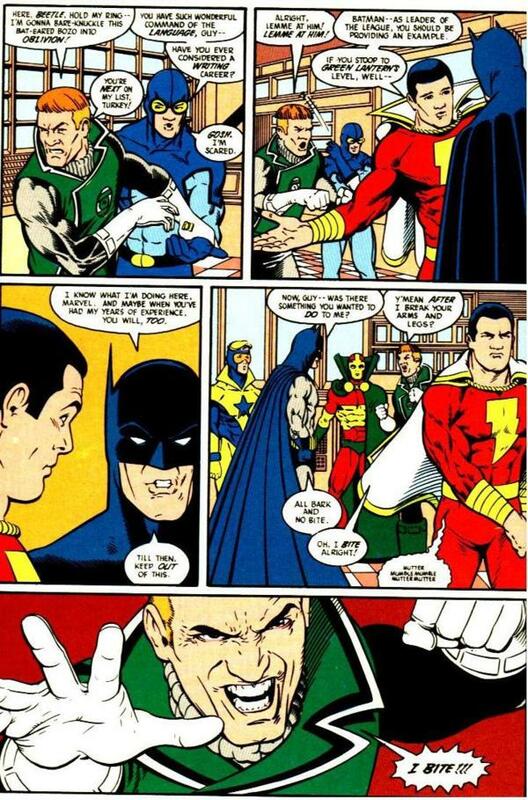 Hard to beat Batman dropping Guy Gardner with one punch. What’s the most fun part of working on Convergence with these characters? Marz: I didn’t plan on this when I started writing the issues, but the dynamic between Blue Beetle and Martian Manhunter has been great to write. Maybe we need a Blue & Green team-up…? Manley: As far as working on the book, I am just getting to know the characters — most of them were unfamiliar to me except Martian Manhunter as I was never a reader of the original series. Honestly it takes several issues to get to know characters well enough that they live like real people in your imagination — and to click with a writer like Ron, he sees what I do, I see what he does and we work to coordinate more as a team — something hard to do with just two issues. You are just starting. 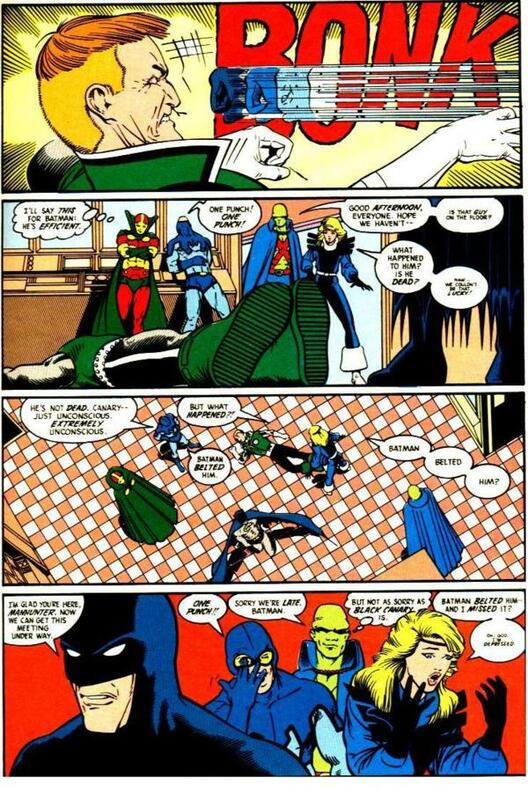 I’d like to draw Martian Manhunter again. I think he’s a fun character to draw as he’s also a shape shifter and I imagine as such it takes constant mental concentration to maintain that shape/form and as a result he would always be slightly changing.